What to do after creating your website? In my recent posts, I talked about how to create a website, How to optimize a website according to SEO, How to use SEO content to build a website, Social media with a website, What is a link juice in a website, what is a link in a website? Now, in this post, I will show you how to manage your website after creating. There are many areas where we must keep an eye for good ranking and traffic as well as customers. 1. The topic should be short and specific. 2. Link juice – one link in the single post will be counted as 100%. But that will decrease the total value of the post. 3. Two links from Single post will score 50%: 50%. 4. Three links will divide into 33.33%:33.33%: 33.33%. 5. If you want to place a link and do not want to count it selects no follow by right clicking on the link. 6. Place only related links in the post. 7. Text should be written with Ctrl+Shift+V. To avoid wrong formatting in future. 8. Place Sitemap of the website plays the significant role in indexing of post. 9. Create sitemap from www.sitemap-xml.com. 10. Share all post on Social Media. 11. 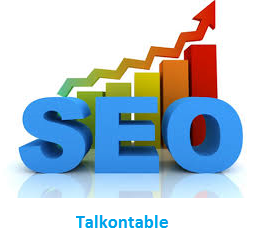 Monitor backlinks via websites that provide such services. 12. Google webmaster tool monitors a website’s day to day errors and indexing. That may come handy. 13. Sites.google.com can be helpful with uploading files to your website if you have hosted your website over Blogger. 14. Free hosting is available at Blogger. 15. Alexa.com can be checked for ranking of a website. 16. Write down Passwords to a safe place. 17. You can add HTTPS to the website for customer’s data security. This will save customer’s data from going into wrong hands. 18. One can opt for website’s backup data from losing it with any hardware or software problem. 19. Email name must be same of your website name. 20. Facebook page can also be created. And same information can be shared there for a better reach. 1. Never copy content from another website, and if it is the last option then give credit to the original website from which you took the content. 2. Never share your confidential details over a public network. 3. Do not work with your ID on a public domain. 4. Check whether the browser and PC are secured or not. For that website must start with an HTTPS and a locked symbol and PC must have an active antivirus. Time to time this post will get updated according to latest technology and trends.